Besides offering Integration between multiple clouds, file sharing and file management CloudFuze now introduced move feature, which allows users to move/copy/transfer files between OneDrive accounts and also can move files between OneDrive and any other cloud storage service.  Below are the 3 simple steps to move files between OneDrive accounts. Step 1: Click on “Move” button on the left menu on the CloudFuze webapp home screen. .
You will then see the “Move” feature home screen. On this screen, you can select the “Source Cloud” from the list of cloud services that you set up within CloudFuze. Step 2: Select the OneDrive account that you would like to move/transfer a file from . When you select this account, you will see list of files and folders stored in that particular OneDrive account. Finally, inside the right OneDrive of icons, select the destination OneDrive account as the “Destination Cloud.” You can even transfer files to the same OneDrive account that is selected in your source cloud. Then selects the folder to where you would like to move files. 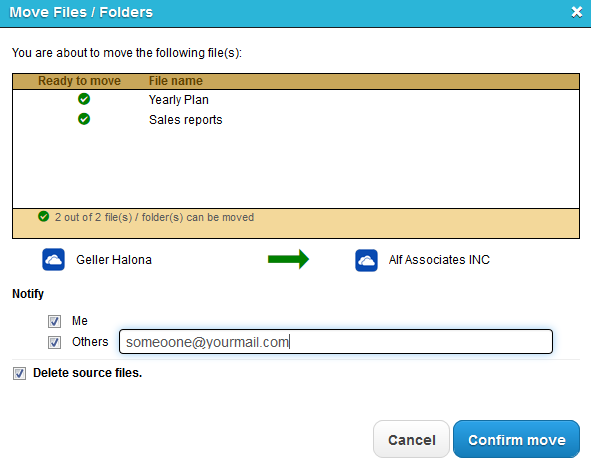 Make sure you deselect the option if you still require that file in the source cloud and then confirm the move. Step 3: After you click on “Confirm Move”, you will see a message that the move has been initiated .